Sad! Horrible! What a disgrace! These are comments that are featured fairly regularly in Presidential tweets. They are designed to shock or, at the very least, get the attention of the reader. Consider this the print version of the Hollywood Neon sign which reads “Here I am! “. However, what do tweets really convey anyway? Since about 2008, many people have adjusted to communicating in tweet form, usually on various social media platforms. The form of expression (140 characters or less) is quick, efficient, and expedient. If you want to blast a message regarding a meeting, an event, etc., then tweets are the way to go. One could argue that the 2011 Arab Spring started with a tweet storm. The challenge becomes how do you communicate anything meaningfully regarding war, global warming, immigration, the economy, health care or, for that matter, one’s faith journey, or one’s theology in such an abbreviated form? Sometimes, there needs to be more of a longer conversation or dialogue regarding the most important things in life. Art, like literature or the consideration of history and political development, requires reflection and analysis. “Literature, painting, music, the most basic lesson that all art teaches us is to stop, look, and listen to life on this planet, including our own lives, as a vastly richer, deeper, more mysterious business than most of the time it ever occurs to us to suspect as we bumble along from day to day on automatic pilot. In a world that for the most part steers clear of the whole idea of holiness, art is one of the few places left where we can speak to each other of holy things.” (Whistling in the Dark). Being on automatic pilot can perhaps feel safe, predictable, and routine. We go through our daily activities, check the messages on our phones and send out our tweets. We consume and exchange information like it was fast food. Again art, music, literature, religion ask us to go deeper, much deeper, than the tweet form. Here, instead of everything being instantaneous and available for consumption, the deeper realities, “ the ultimate things “ that Theologian Paul Tillich would reference, take more time, consideration and contemplation. Our life in the spirit, our life in faith requires much consideration, much time to evaluate, much time to be open to the divine, however known, and how that presence and reality can be transformative for our lives. 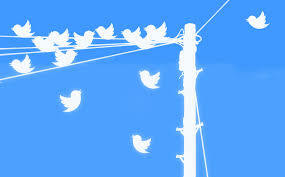 Tweets can be convenient to communicate thoughts or ideas or publicize events. But doing the work of the soul really requires far more than tweets, far more than morsels. What is extended to us is a veritable banquet of growth and enlightenment. When you are at a banquet, you savor everything that you see and taste and feel. May our lives be bountiful banquets that fill us all with good things now and always.